By establishing a “Donations & Payments” account through http://orderofmaltaamerican.org you are representing that the information you have provided is true. Your “Donations & Payments” account is self-directed and managed by you. You can make donations and payments, edit your profile and access your transaction history. You may choose one or more of the funding options with which to make your donation: Credit Card, Debit Card, or Electronic Check. Any personally identifiable information that you provide during your visit to the Site will be retained, used and disclosed only in accordance with our Privacy Statement. You acknowledge that you have read the Privacy Statement and you consent to the use and disclosure of your personally identifiable information in accordance with the terms of the Policy Statement. By providing us with your email address, you give the Order of Malta, American Association, permission to email you with updates, newsletters, or other information pertinent to the Order of Malta, American Association only. You are responsible for obtaining, installing, maintaining and operating all equipment, software, and services necessary for you to access http://orderofmaltaamerican.org and your “Donations & Payments” account. If you misplace or forget your password, you may reset your password by answering the authorization query you established in your account profile. If you forgot the answer to this query, please contact us directly at 212-371-1522 so that we can verify your identity and reset your password. The Order of Malta, American Association is not responsible for any fees you may incur from a credit card company, debit card merchant bank, or other bank as a result of making a donation. The Order of Malta, American Association will not be liable to you if we perform or fail to perform services in connection with your “Donations & Payments” account, unless we have acted in bad faith or have violated an applicable law. 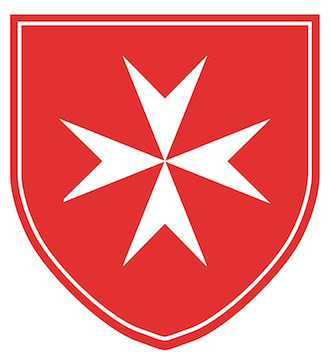 The Order of Malta, American Association is not responsible for the content of third party sites on the Internet that you may access from our web pages, and does not guarantee products and services that may be available on those sites.